Note: This is Part 1 of what will be a series of stories on the multitude of effects that the Brexit is having on global real estate markets now and in the future. For Part 2 please click here. The most significant financial and economic news story so far in 2016 has been the June 23 decision of the British public to terminate the UK’s membership in the European Union. Polls and bookmakers in the days leading up to the vote had constantly maintained that, while the vote would be close, a “Brexit” was unlikely. As we now know, that did not turn out to be the case. Financial markets around the world reacted quickly and sharply to the unexpected news. The pound sank to a fresh 31-year low, dropping over 7% overnight as the fallout began to reverberate through financial markets. The word “contagion” has been used to describe the immediate effects, which have affected currency, equity, fixed-income and other markets worldwide in the month since the vote. Further volatility attributed to the Brexit may occur when the future UK/EU economic arrangement becomes clearer, with the UK negotiating its exit agreement with the EU in the coming months. One of the “Remain” proponents’ strongest arguments toward not leaving the EU was that many economic entities would pull capital from the UK if the country exits. In the immediate aftermath of the Brexit vote, these fears appear to have not been unfounded. While the short-term effects are taking shape, the long-term effects have yet to be quantified, and likely will not be for at least a few years. However, industries that depend on well-functioning capital markets have been disproportionately affected in the short-term. That brings us to Real Estate, which is and always will be a very capital-intensive industry. UK-based real estate funds have, not surprisingly, been one of the first sectors to be adversely affected by the Brexit vote. 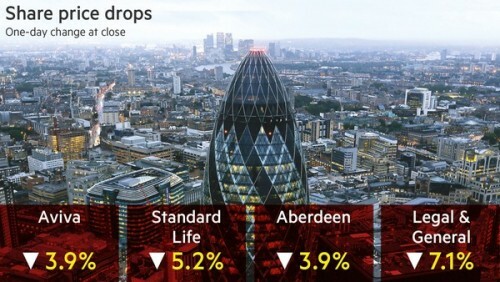 Whether they own shopping centers in the industrial north of England or office buildings in Canary Wharf or the City of London, the funds have been forced to take decisive actions to avoid forced selling, which could spur steep price losses across the UK’s real estate markets, initiating a vicious cycle of further selling and asset price drops. 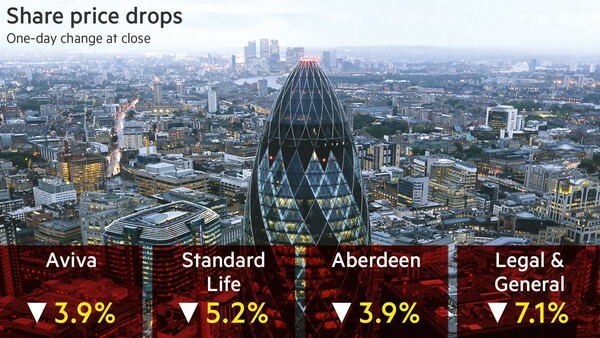 With the current real estate tremors echoing those of the most recent financial crisis, the growing fear is that failure to control aftershocks from the Brexit vote will propel the broader economy into recession. During the Global Financial Crisis from 2007 to 2009, UK property funds were, like many American funds, faced with a deluge of redemptions and forced to halt withdrawals and/or sell assets, contributing to a slump in British property prices of more than 40% from their peak. According to the UK Investment Association, approximately £24.5 billion is allocated to UK real estate funds. The UK commercial real-estate market is worth about £800 billion ($1.04 trillion) in aggregate according to Mike Prew, an analyst at Jefferies Group LLC. Residential real-estate assets amount to a total of £5 trillion. 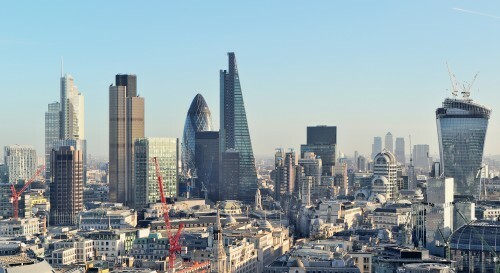 Even before the June 23 vote, it was expected that investors would pull money from UK property funds, as analysts warned that London office property values could fall by as much as 20 percent within three years of the country leaving the EU. As anticipated, investors began to pull money from UK real estate funds in the lead up to the vote, depleting cash levels even before the fact. The Bank of England confirmed investor skittishness over UK commercial real estate in its Financial Stability Report published on Tuesday, July 5, revealing that foreign investment into UK commercial real estate fell by almost 50% in the first quarter of 2016. As mentioned, the market disruptions caused by Brexit are likely far from over. Complications could arise during the negotiations surrounding the separation agreement, and all the while a recession in property prices could be looming due to already lofty property prices, further adding to the turmoil. As a result, the Brexit and its effects are an issue that will need to be monitored by all stakeholders in global real estate markets for some time. For Part 2 on the Cornell Real Estate Review’s series on the Brexit please click here. Matthew Green is a 2017 MSRE/MBA candidate at the Johnson Graduate School of Management and Baker Program in Real Estate, concentrating in Real Estate Investments and Finance. He serves on the board of the Cornell Associate Real Estate Council (AREC) and is a Senior Editor of the Baker Program Real Estate Review. For more information on the Baker Program in Real Estate, please visit baker.realestate.cornell.edu.